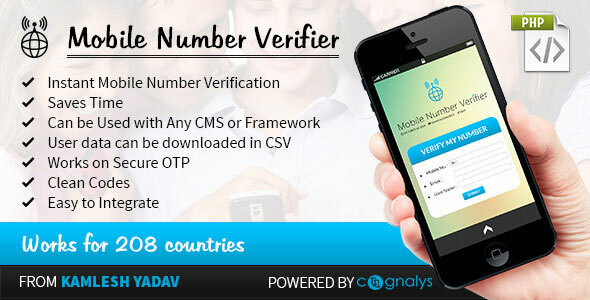 â€œMobile Number Verifier PHP Scriptâ€ â€“ Each and every person in this world have mobile phones. So, presenting before you the â€ Mobile Number Verifierâ€ is an amazing PHP Script that helps your site to connect remotely to any global mobile number. Very useful for verification of any mobile number, promotional campaigning, promote your site globally.